Solid Mastering Studio offers audio mixing services online and on site, in studio session. All our Mixing are analog with an analog summing. After spending countless hours working on a song, you want to achieve the best sound possible in order for your track to standout in today’s market. We’ll help bring the characteristics out of each elements to make your track sound “expensive” with audio mixing. Mixing will allow to provide you with a full stereo image, separation, giving you a clean professional mix ready for master. The process can include balancing the levels of the tracks, fine-tuning the sound of each instrument or voice using equalization (EQ), panning the tracks between speakers to create a stereo image and adding reverb, compression, and other effects to enhance the original recording. A mix gives the engineer the most flexibility and ability to make any changes necessary to individual part allowing you to provide up to 18 stems. In order to achieve the highest overall sound quality, it is best to have each aspect of a song separated so that each can be fine tuned down to the smallest details. The artist sends their full session of audio tracks, each bounced from the beginning to the end of the session. 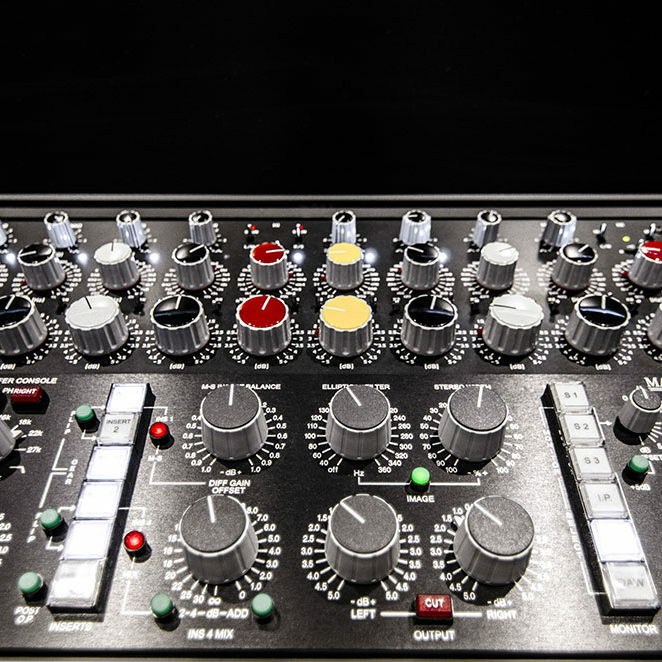 We process each track in a Class A or an upscale gear, granted a true analog mastering chain.